Despite our intrepid image, Australia is an incredibly urbanised country by world standards, with almost 90% of our population living in or around cities.i The impact of this cosmopolitan living is a proclivity for the indoors, often resulting in sedentary lifestyles, which can augment rates of stress, depression and obesity. The antidote to all this is simple: get outdoors more often. Your body and mind will thank you for it. The romantic poets wrote about it at length, and countless artists throughout history have reached the same conclusion: there is healing power in the magnificence of nature. Increasingly science is supporting this thesis, with research into the mental health benefits of being outdoors coming from all corners of the globe. By contrast, city dwellers are at much higher risk of developing anxiety and mood disorders than their rural counterparts. The reasons for this are manifold: traffic jams, excessive time seated in front of screens, the close proximity of everything and everyone – they all make it easy to get stuck in your head and sweat the small stuff. The beauty of nature by contrast is its vastness, how it can situate you in the ‘here and now’ and put your problems into perspective. Moreover, people who get outdoors more often are more likely to be exercising thereby producing endorphins. Even the decision to walk to the local shops rather than drive can have numerous benefits. Getting outdoors doesn’t have to mean going on a five-day canoe trip or taking your swag to some remote location. It can be as simple as going to your local park. Australia has a legacy of public green spaces from Victorian times, as well as vast reserves of national parks not far from city centres. The best bit about them is that they are free for everyone and actually function as a social leveller. So why not take your bikes for a ride, pack a picnic with the kids, or enjoy a leisurely stroll with the dog around your local park. With science on its side and governments the world over responding to our human need for nature, it seems clear that it’s something we could all use a little more of. 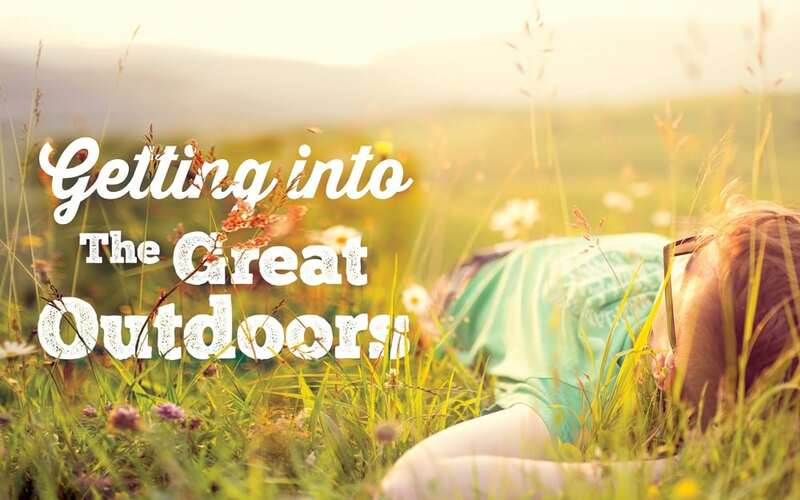 Start with the little things—a morning walk around the block or some time out in the garden—and with warmer weather just around the corner, what better time to embrace the new, outdoorsy you.